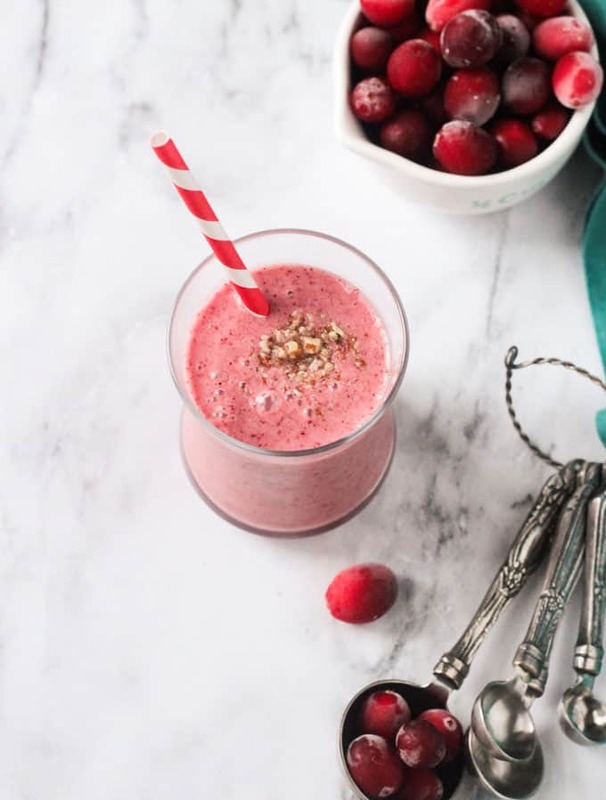 Cranberry Smoothie – a delicious, sweet, tart, and gorgeously vibrant, seasonal sip. Dairy free and refined sugar free! It seems cranberries are my new obsession. October was pumpkin all-the-things. The end of November is turning out to be cranberry all-the-things. Considering cranberries are often served at Christmas, too, I’ve got you all set! This creamy drink can be made using fresh cranberries or leftover cranberry sauce. Either way it’s super easy. 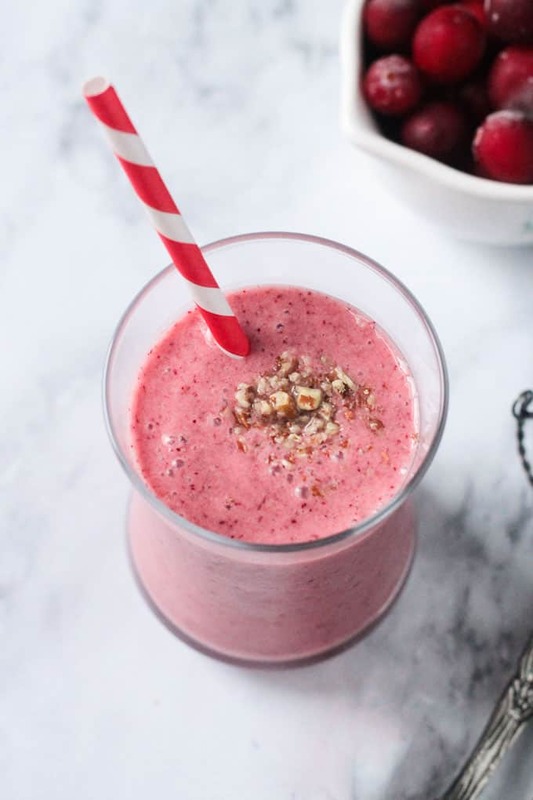 Wake up and start your day with this sweet and tangy Cranberry Smoothie! Cranberries are rich in vitamins and minerals, like vitamins C, E, and K. They also contain good amounts of fiber, manganese, and copper, along with antioxidants and anti-inflammatory properties. 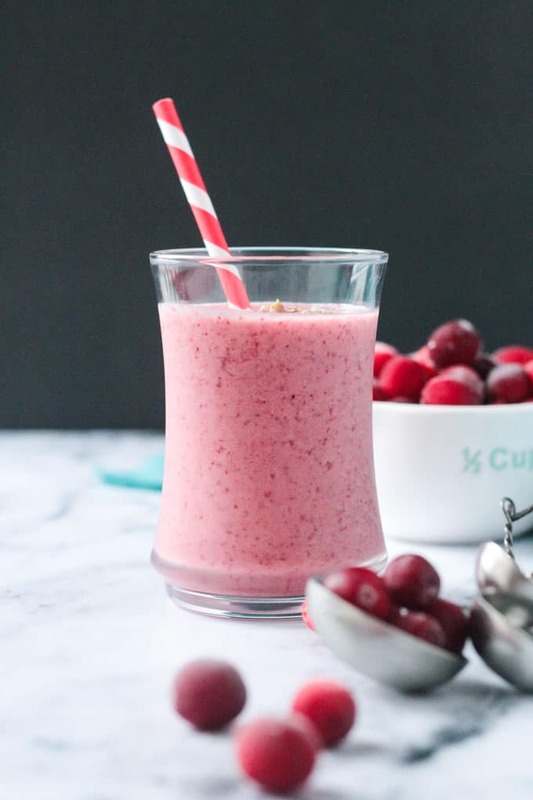 Cranberries are good for you, so drink up this Cranberry Smoothie and reap the benefits. 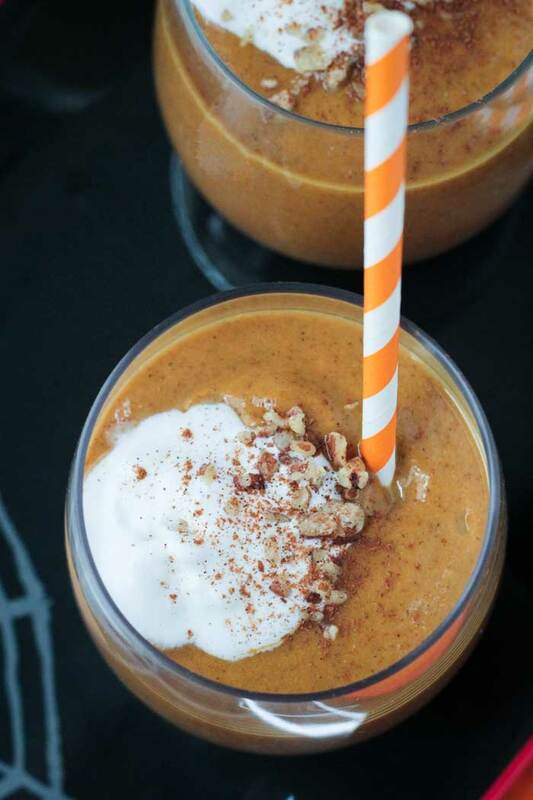 Just 4 ingredients, 2 minutes, and a blender is all you need. How can you not love a quick and easy recipe like this? Breakfast is served! Or snack. Or even dessert. This recipe is perfect for using up any leftover cranberry sauce you have lying around from the holidays (you know you have some!). Of course, I’m partial to my Maple Cinnamon Cranberry Pear Sauce, but you can use whatever you have on hand. And if for some reason you didn’t make cranberry sauce, don’t have leftovers, or just want to make this any other time of year – no worries, you can use 1 cup of fresh (or frozen) cranberries with a little cinnamon and maple syrup. I hope you love this dairy free Cranberry Smoothie as much as we do. If you try it, please come back and leave me a comment below with your feedback and star rating. Cranberry Smoothie - a delicious, sweet, tart, and gorgeously vibrant, seasonal sip. 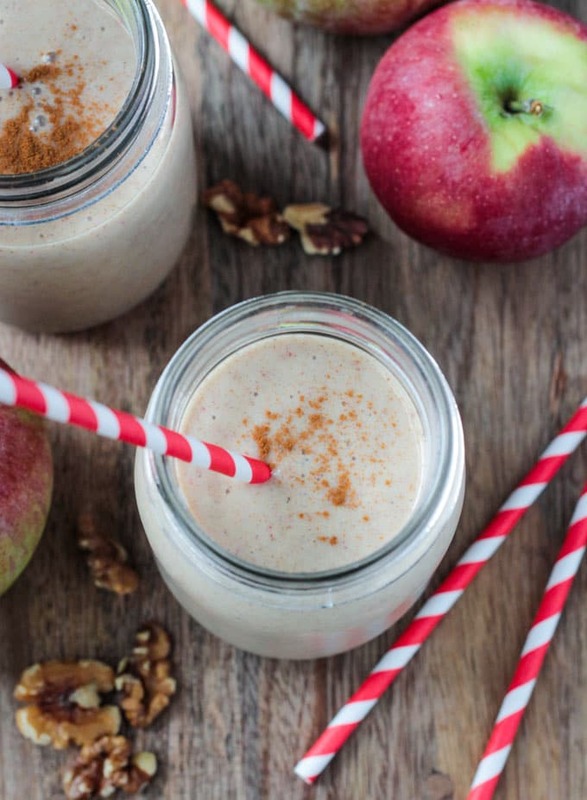 This looks like the perfect seasonal smoothie! I love the beautiful color! My cranberry loving son will enjoy this smoothie! 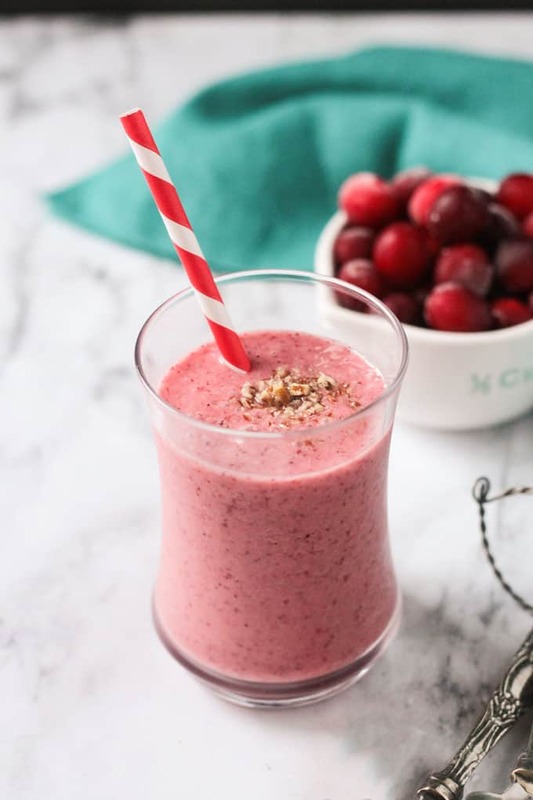 This Cranberry Smoothie looks sooooo good! Yummy! This made me drool. Cannot wait to try this. Thank you for a great recipe! Thank you, Mary! 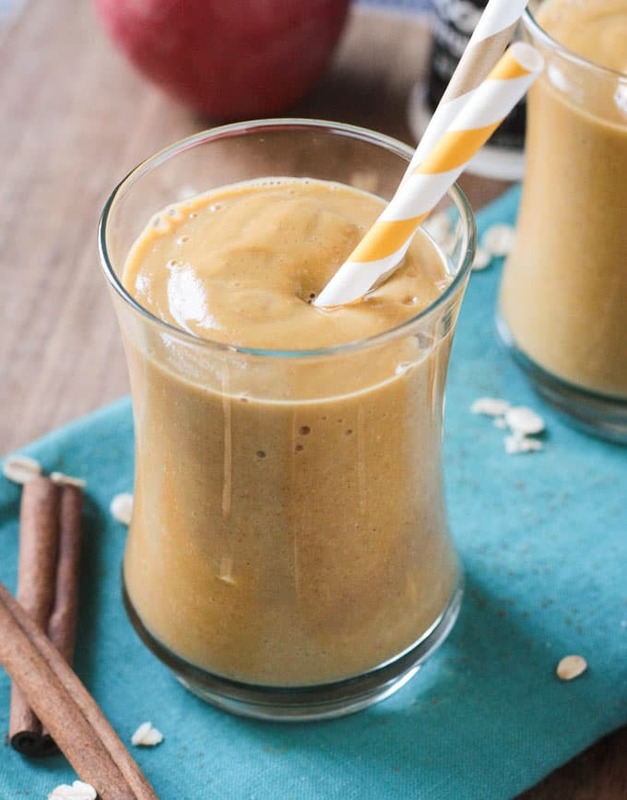 It’s a fun, and super easy, festive treat! This smoothie looks so bright and delicious!! Thank you, Ebeccia! I love the combo of the tart cranberry sauce and the sweet banana! Please let me know if you try it!